I have written an extempore Prologue, or rather an occasional Prologue—(tho’ I did make it in half an hour) for the Regent to come out again with after Siddons’s Illness; it alludes to the new Exhibition of a beautiful Woman one Mrs Wells1, who has diverted the Town by Imitations of our great Actress, while She was laid up with ill Health & Grief. I do think that Mrs Siddons for Vigour of Action, pathetic Tone of Voice, & a sort of Radiance which comes round her in Scenes where strong heroic Virtues are displayed, never had her Equal. For Versatility of Genius, or Comprehension of various Characters, Pritchard was greatly her Superior: Add to this, that our present Idol is eminently handsome—dear Pritchard’s Person came against her perpetually—but what a Mind She had! 1: May 1788 Here is my Prologue … They have shelfed it tho’; under pretence that no Epilogue had been made to keep it Company. Sends me before your Favour to request. But Shakespear says—Such is the Lot of Man. And heap’d the blushing honours on his Head. And Tyrant-like reversed a People’s Doom. The storm is overblown, the Danger past. And most Applause deserves while most She gains. And sends the willing Chief renew’d to War. 1. Mary Wells, also known as Becky or Cowslip. 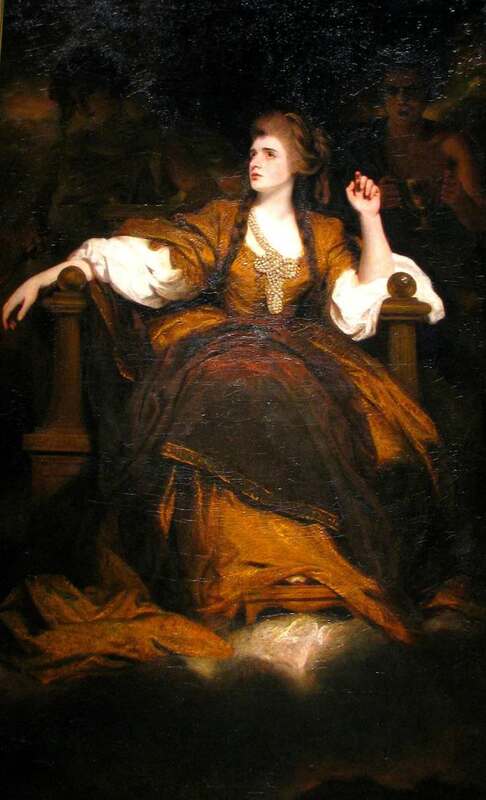 who made a living from parodying Sarah Siddons. 2. Allusion to Mary Wells.